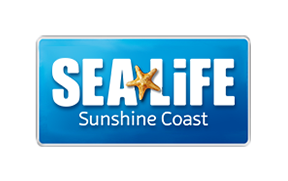 What is SEA LIFE Sunshine Coast? What is inside SEA LIFE Sunshine Coast? How long does it take to go around SEA LIFE Sunshine Coast? Is SEA LIFE Sunshine Coast suitable for children? How long are the queues for SEA LIFE Sunshine Coast? What can you do at SEA LIFE Sunshine Coast? How many areas are there within SEA LIFE Sunshine Coast? What time are your talks and feeds at SEA LIFE Sunshine Coast? Please visit here for full information. Please note: We try our very best to maintain a regular schedule of talks and feeds, however we occasionally make changes in the interests of animal welfare. We'll strive to update the website if and when we make changes to the schedule.